Perfection knows few, if any, limits. The Porsche Carrera, Carrera 4 and Turbo are a virtually unlimited platform for drivers who value content and quality as well as style. 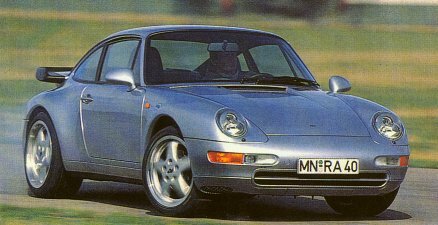 The Ruf cars' strength and appeal, their almost irresistability, are based on a concept that many sportscar manufacturers appear to have lost. That is the continuing evolution of the car as new developments are ready, not as dictated by model year or competitive products. Thus continued increases in performance by engines built with extreme precision, optimal chassis tuning proven through extensive testing, and technical expertise shown by the development of specially designed high speed brakes and tire rims, and six speed transmissions are trademarks of the Ruf philosophy. Ruf concepts expand Porsche fascination to new dimensions. This is accomplished partially through three engine versions with remarkably improved performance, in some cases with increased displacement, and through suspension refinements which establish a new definition of true driving pleasure and quality. Each can be delivered in any configuration of chassis or drive system. They are available in the Carrera or turbolook body, as cabriolet or coupe, Targa or Speedster, and standard rear or all wheel drive. The Porsche 911 body is clearly a classic design statement of the relation between form and function. Ruf conversions hint unobtrusively at their potential through a lift reducing front spoiler lip, aerodynamic aids for the windshield pillar, and the single piece 18" light alloy rims produced exclusively for Ruf by Speedline. Carefully reworked inner wheel housings, providing sufficient clearance for the enlarged wheel dimensions, are another Ruf detail. Whether one examines a new Ruf car with a Ruf serial number built from a bare chassis or a conversion of a customer car, Ruf construction always represents a masterpiece in the classic tradition of craftsmanship. Each car is hand crafted by a team of specialists to satisfy each customer's request for specific details whether it is lightweight construction or Ruf luxury appointments.